You know what's my go-to cure whenever I'm having the blues? GRATITUDE. Often, we focus too much and too long on our problems, on those little buggers that make our life a mess. We think, if we can just change our past or delete this part, then our life would turn for the better. But the truth is, every bump that we had to stumble on, jump over or turn away from is an essential part of who we are today. When we keep our focus on the things that don't go our way, we forget that there are so many things to be thankful for, things we didn't know we needed, things we didn't even ask for. We forget the little mundane things that make our day bearable, the priceless moments that make us smile, the rich experiences that change us for the better and the people who love us no matter what -- yes, the very same folks that you complain about, share your struggles or exchange gossip with, they that tolerate your annoying habits and indulge your whims, they that made you believe you were made for more, they that put you on your shoulders so you can reach for the stars -- don't forget to thank God for them. Quiet down. Think about these things for a minute. You're already smiling, aren't you? PS: Struggling with my camera and getting all of me inside the photo, as you can see. LOL! ganda as always plus i love your positivity :) for that, i'm thankful for you! yes YOU! keep on inspiring girl! I totally thought that was a dress instead of separates - great bow detail! Thanks Lisa! <3 that bow! My favorite color worn beautifully by a beautiful lady. 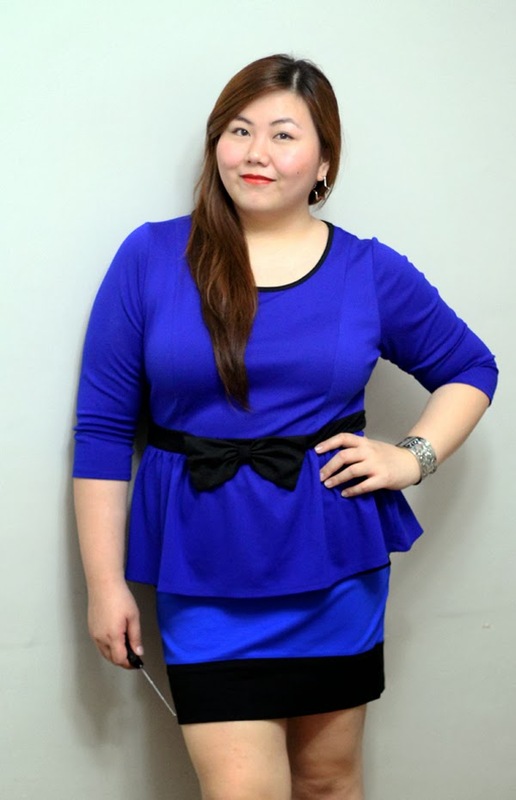 Amazing style with this beautiful blue top! The black sash detail is a fabulous detail to this top. Nice skirt and sandals to complete the look. Lovely smile and hairstyle to complete the look. This was such a great reminder to be thankful! It's true - we do have just so much in our lives to be thankful for. It's easy to take things for granted and sometimes it's important to step back and count our blessings. Thank you! They're strangely the same shade of blue and black! 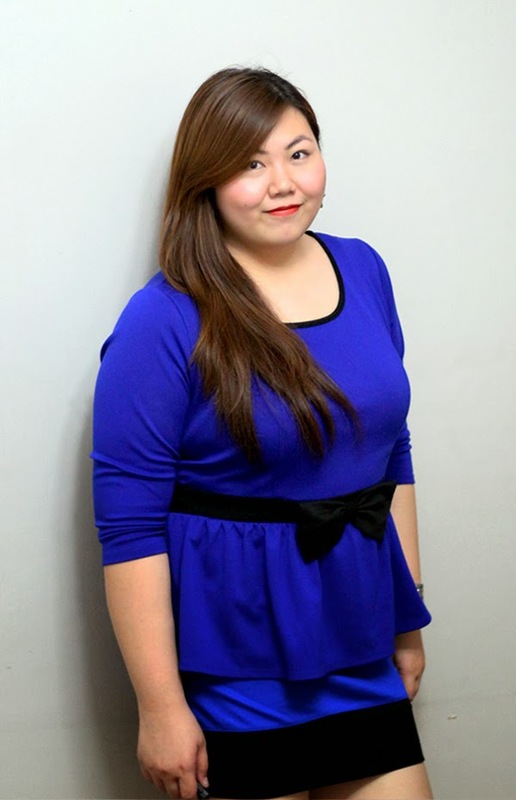 You look so gorgeous in blue - love the cobalt blue shade! 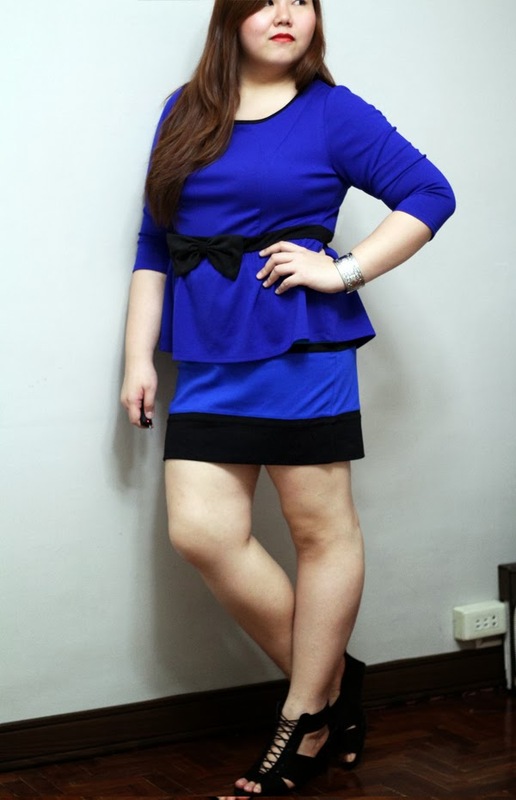 Blue and black together are the best combination! Cute look! You look so cute! I love cobalt blue, I think it's such a pretty color.